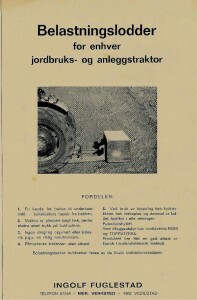 Fuglestad Mek.Verksted ANS was established in 1946 by Ingolf Fuglestad from Vigrestad in Jæren. He had been working as supplier for farmers in Jæren and region. The first time it was mostly welding and repair of agricultural equipment. 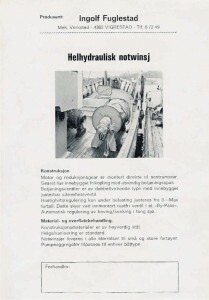 Ingolf Fuglestad established a good working relationship with the brothers Søyland they started the company Brøyt AS in Bryne . This partnership ended in the late 90 ‘s ..
Fuglestad Mek.Verksted ANS was acquired by Ingolfs son Marton Fuglestad.They purchased new machinery and equipment, and eventually became employed more people,welders,machine operators. 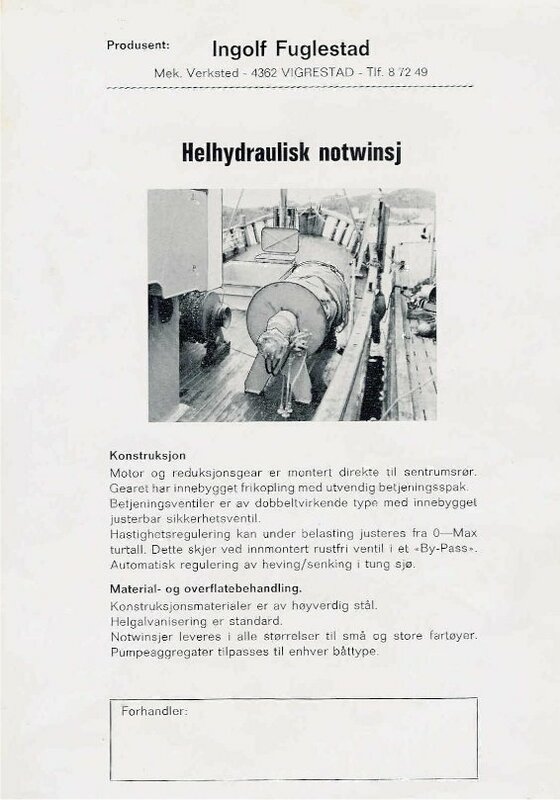 It was also produced and delivered to the offshore industry when Marton Fuglestad took over.2004 took Marton Fuglestad his son over the company, Svein Ingve Fuglestad.